Laura Niedziocha began her writing career in 2007. She has contributed material to the Stoneking Physical Therapy and Wellness Center in Lambertville, N.J., and her work has appeared in various online publications. Niedziocha graduated from Temple University with a Bachelor of Science in exercise science. She also has her Associate of Arts in communications from the Community College of Philadelphia. What Are the Benefits of Seaweed Salad? Eating a diet rich in whole foods and limiting your processed food intake can benefit your overall health and your digestive health. Including avocado in your diet can help even more. Avocados are a rich source of heart-healthy monounsaturated fats and myriad vitamins and minerals, all working toward keeping your digestive system in good functioning order. According to Dr. Ben Kim of Chetday.com, avocados are one of the best foods you can eat for digestive health. Avocados work to stimulate the healthy functioning of your digestive organs, including your pancreas, gallbladder, liver and intestinal tract. The healthy omega-3 fatty acids found in this fruit may also help ease inflammation in the digestive tract. One avocado contains 86 micrograms of beta carotene, a compound that is a precursor of vitamin A. This vitamin plays an essential part in keeping your digestive tract healthy. Vitamin A helps keep your epithelial cells in good condition and functioning properly. The epithelial cells line your digestive tract, protecting your digestive system from bacterial infection and damage. Your liver has many roles, including producing bile for healthy fat digestion. Avocados may help protect your liver, according to a study presented to the American Chemical Society in 2000. The livers of rats were damaged, then fed 22 different fruits. 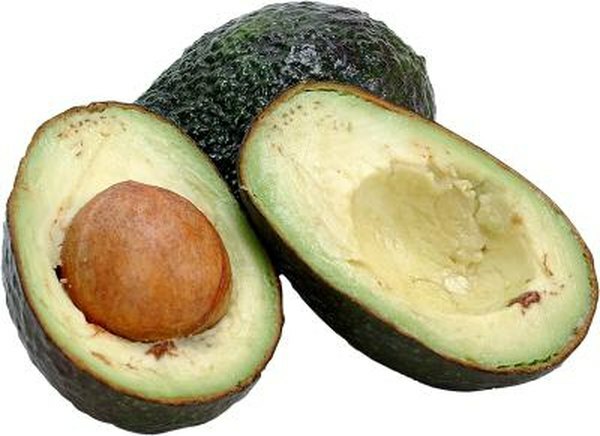 Avocados were able to slow liver damage in the rats. According to researchers, five different chemical compounds in avocados can help to reduce liver damage. One avocado, peeled and without the pit, contains 9.2 grams of fiber. A high intake of fiber enhances digestion and keeps you regular. Fiber in your diet adds weight to your stool, making it pass through the intestines easily. This occurs because fiber holds water, which keeps the bowels moving and helps reduce constipation. If you're interested in trying avocados for digestive purposes but don't know how to prepare them, try this easy recipe for a papaya avocado salad from EatingWell.com. Combine chunks of avocado, papaya, walnuts and jicama. Toss with a light raspberry vinaigrette dressing and serve cold. Not only is this recipe low in calories, it also provides 5 grams of fiber.